But First – What’s That All About? 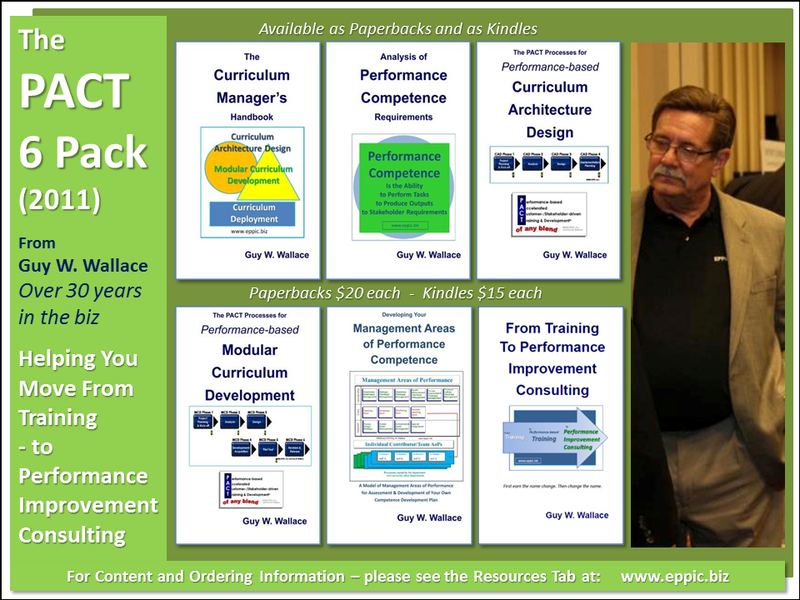 It’s about developing Performance Competence – QUICKLY. 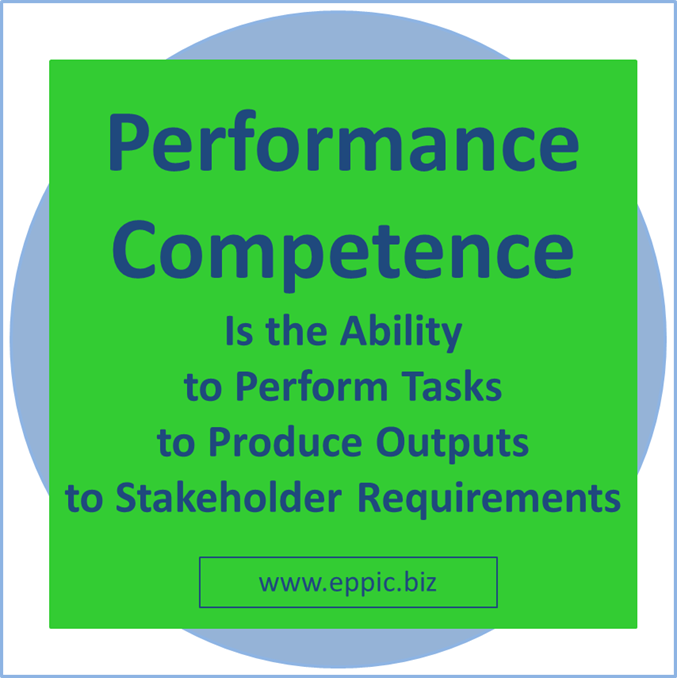 It’s about a Path to Quicker Performance Competence. 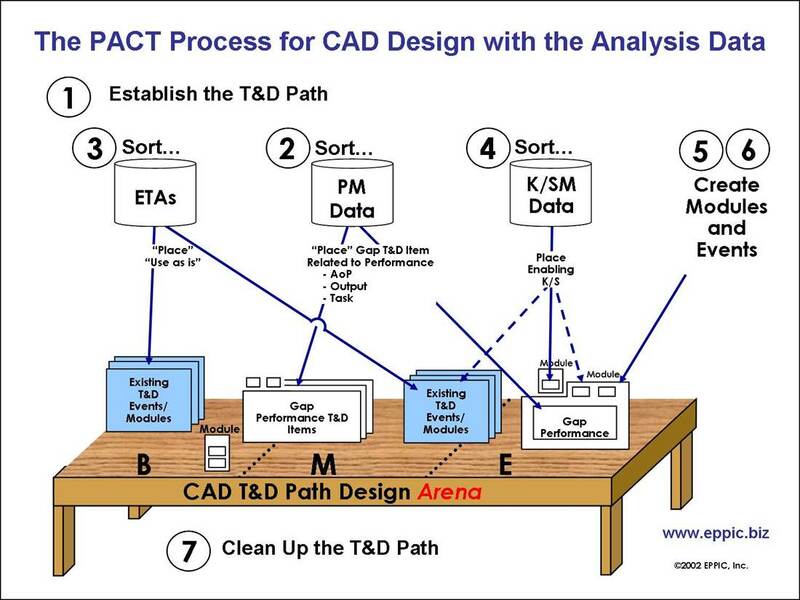 The Output of a Curriculum Architecture Design (CAD) Design Team Meeting (DTM) is a T&D Path and other design outputs that house all of the analysis data – reusing it directly, or using ithe as reflected in the key design decisions. Otherwise, why would you have gathered that analysis data? That was always a big mystery to me back in the late 1970s, I did away with unnecessary data from my Analysis Phase back in the early 1980s, and even deferred some of that until we were in the Design or Development Phase. Because many times you could/would gather more than you needed – making it look more like analysis paralysis – than a lean analysis. I intended PACT to be lean. 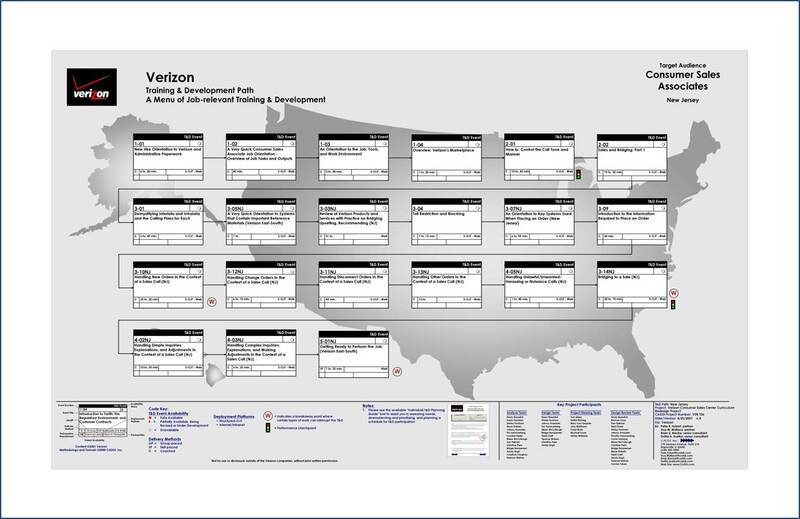 T&D Paths/ Learning Paths / Performance Competence Development Roadmaps – Paths are known by many names/ labels. I’ve been doing these since 1982. Co-wrote the first article on this – published in Training Magazine in September 1984. Here is an example from 2004. And sometimes a Path is more of a Menu or sequenced series of menus – rather than a straight path. 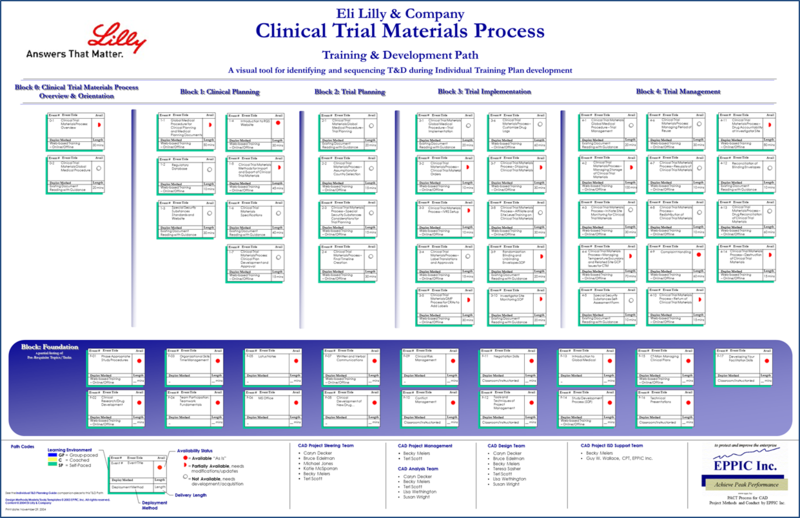 The above is more of a series of menus than a Path – a “suggested sequence” – that the Learner and their manager would consider in developing an IDP – Individual Development Plan. The above is linear – as dictated by the other circumstances. Didn’t have to be if there were different circumstances. Once you are armed with the appropriate Analysis Data that is. 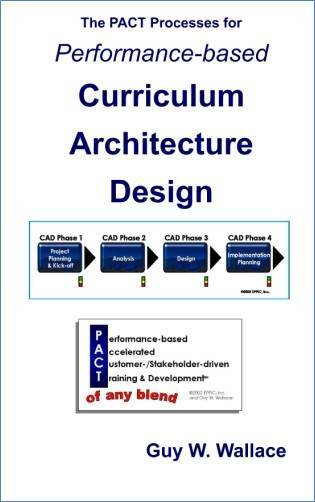 Curriculum Architecture efforts do not create any new training/ learning content. They determine the performance-based needs and gaps from those needs for Implementation Planning – the addressing/ filling of those gaps as the needs and priorities of the enterprise dictate – at appropriate levels of ROI – which isn’t always dollar-izable. 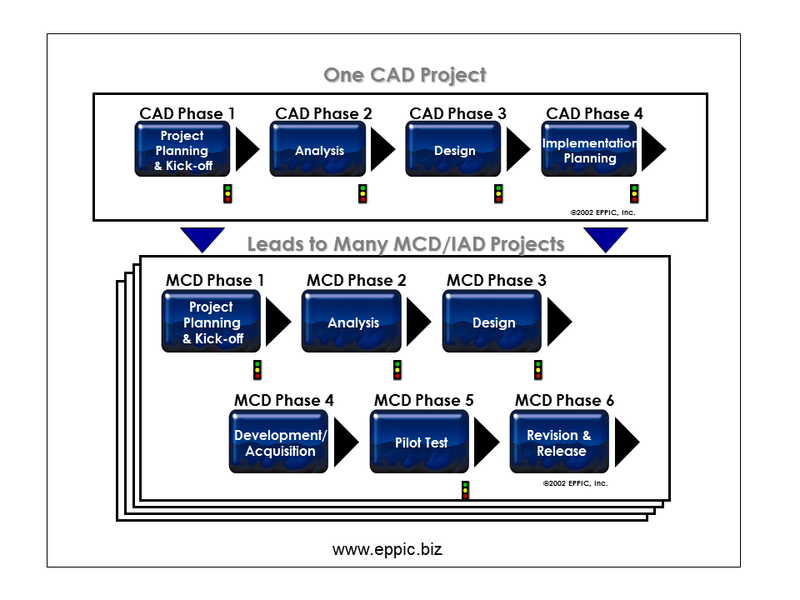 My PACT CAD efforts lead to PACT Modular Curriculum Development (MCD) efforts, or efforts that produce portions of traditional learning content, say just the Performance Tests or Knowledge Tests or Performance Demos- which is accomplished in Instructional Activity Development (IAD) efforts. 11 minutes – from the 55+ PACT Video Shorts Series – full index here. There are other videos I have produced on CAD and other ISD and PI topics, tools and techniques. See them – here. Available as Paperbacks and Kindles. 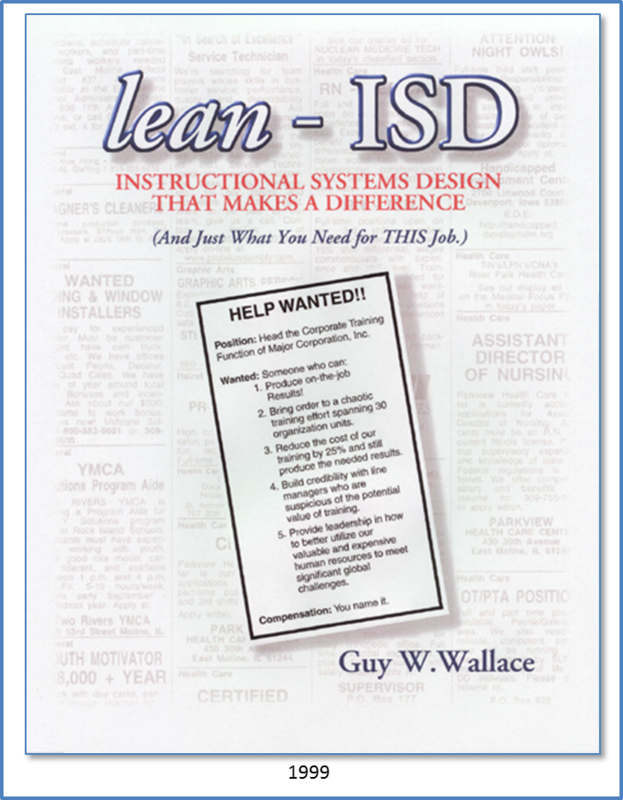 Check the Resource Tab for the books and over 300 free resources.